Check out our reporting and analytics capabilities that translate your data into the information that influences your next great decision. 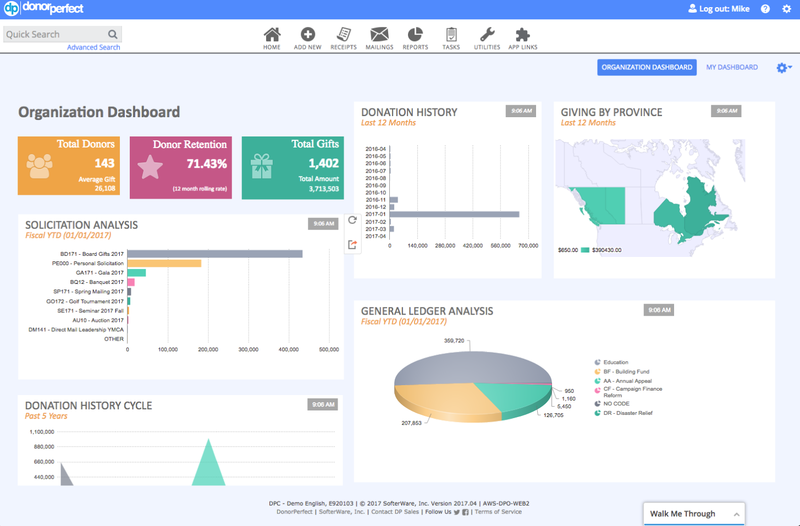 Constituent Reporting provides a gold mine of information to help you cultivate donations and retain donors. 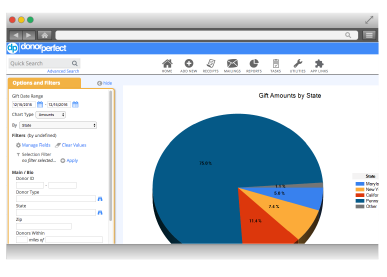 These reports can pull from all constituent-related transaction fields (donors, pledges, response rates, etc) and help identify trends among your constituents. 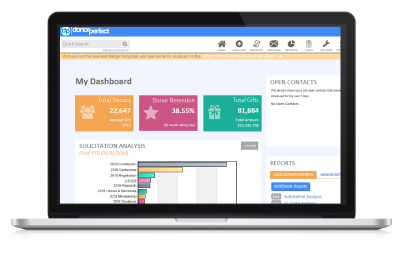 DonorPerfect makes it easy to access the donor information you need most, updated in real time through dashboard reporting. The Report Center is home to all of your reports. This includes donors, volunteers, alumni or any other group of constituents you are tracking. It also includes pledges, gifts, recurring giving plans and all tracked transactions. 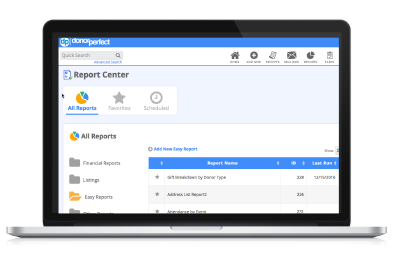 You can filter, sort, and schedule reports as you see fit and mark favorite reports to pop up in a single click. 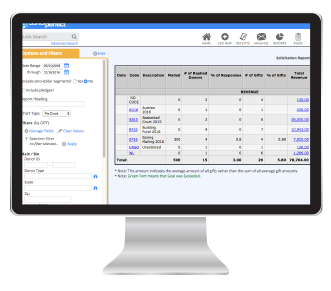 Create basic reports with the Easy Report Builder. Simply name a report, add desired fields, and save it to a folder. Commonly used fields are automatically added to save time. Add editable filters, test reports’ output before completion, and make corrections as you need to. See Easy Report Builder in action. 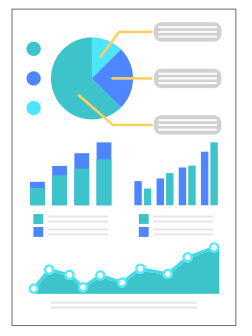 SmartAnalytics empowers you to make better decisions through straightforward tools to view, interpret, analyze and automatically share reports and fundraising infographic widgets. 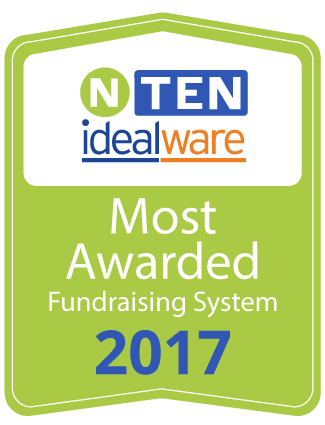 Create any type of custom report, graph or trend analyses and schedule it to be automatically sent to stakeholders every time it’s updated. 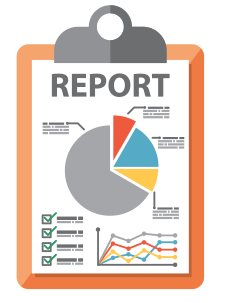 This report writer is perfect for larger nonprofits with many detailed custom reporting needs. Similar to search filters on travel websites, SideBar Reporting enables you to change conditions on the fly to quickly view new information. 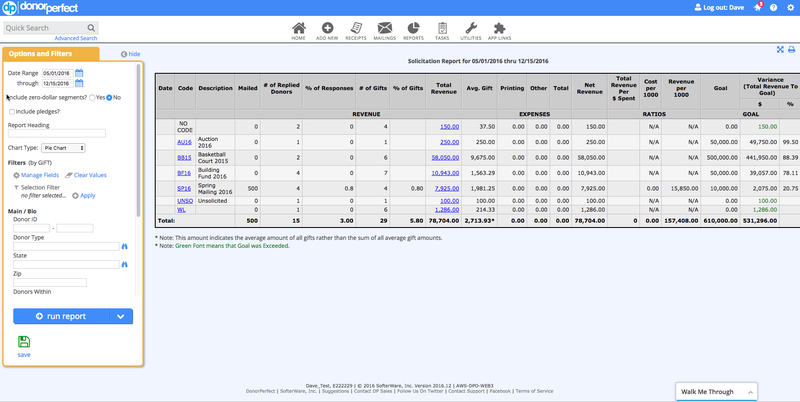 You can enter filter criteria, view reports, and refresh reports with new criteria directly from the report screen! Quickly drill-down into report data using report hyperlinks. For example, you can view all gifts received in a single month, then delve into a particular solicitation, and break it down further to a specific donor and gift. Once you’ve selected all the data levels you’d like to display, a you can export and share this information with others through report hyperlinks. Sharing and sending DonorPerfect reports is a breeze. 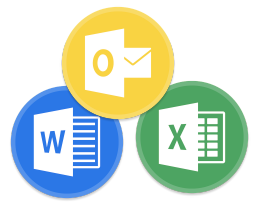 Most reports can be easily exported as a Word document, Excel spreadsheet, PDF, or an HTML file.